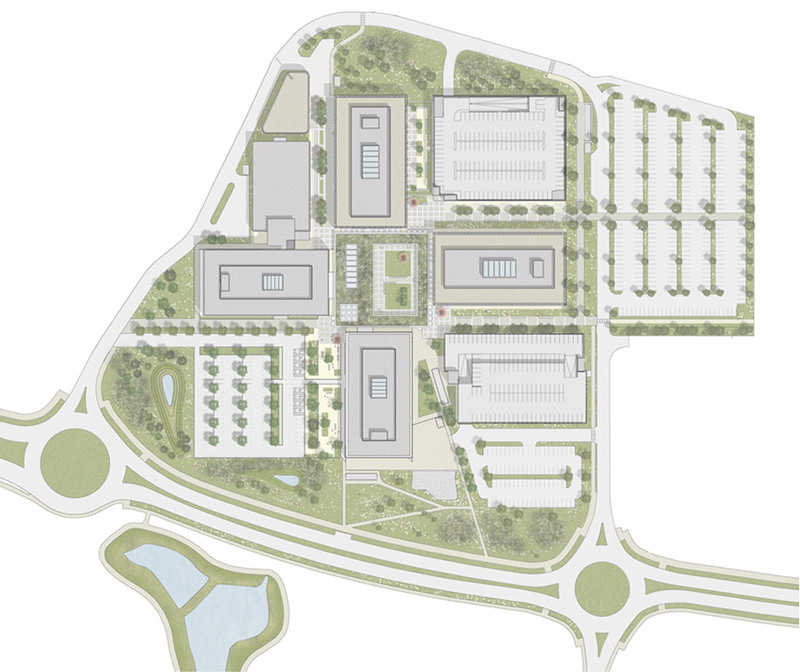 This project seeks to provide Sainsbury’s with reinvented headquarter campus in Ansty Park, Warwickshire. The collective aim was to transcend the un-contextual and transient architecture of the typical business park to create a built environment and landscape with a sense of place and permanence. 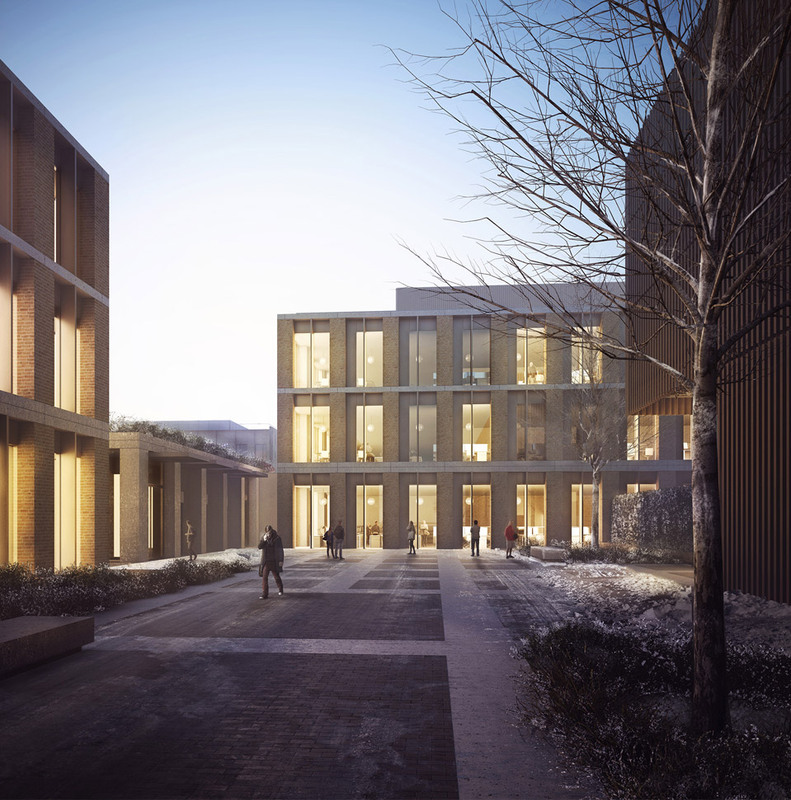 The proposals are centred round a cloistered courtyard that serves as an organising device to connect two existing buildings with the two new proposed office buildings, energy centre and car park building. 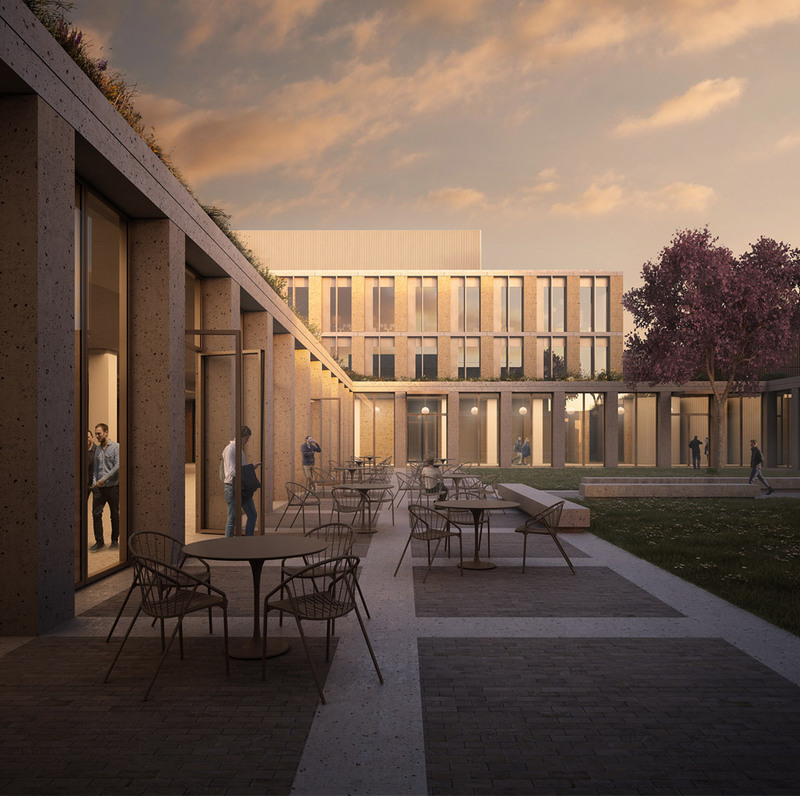 The cloister and its landscaped square form a new entrance, café, informal work spaces and meeting points that together form the social heart of the scheme. 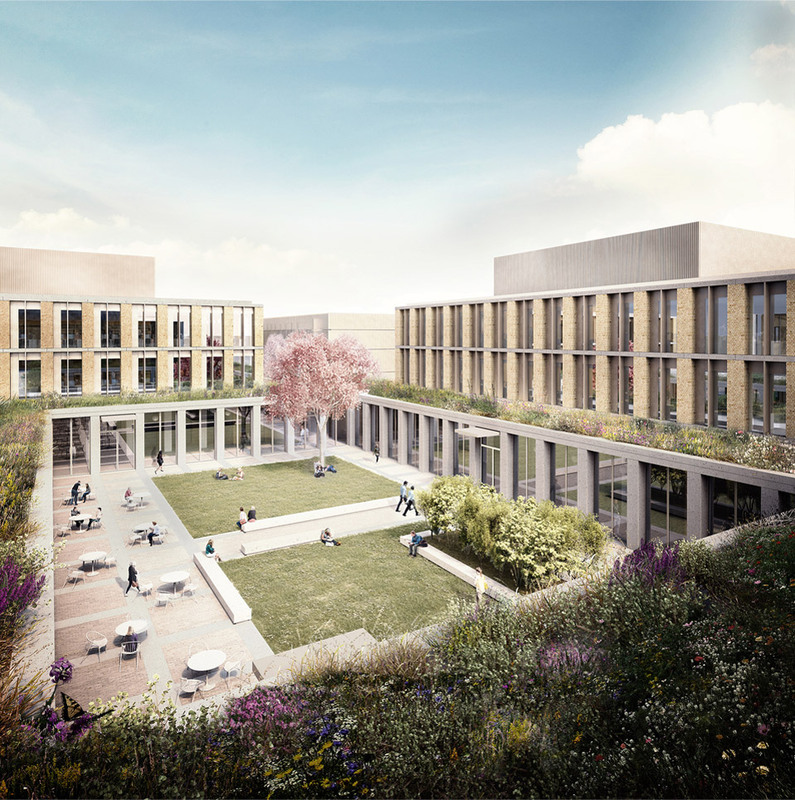 Linear gardens and courtyards between the new buildings frame vistas to the rural landscape beyond and provide sheltered external spaces in which to meet or find sanctuary. 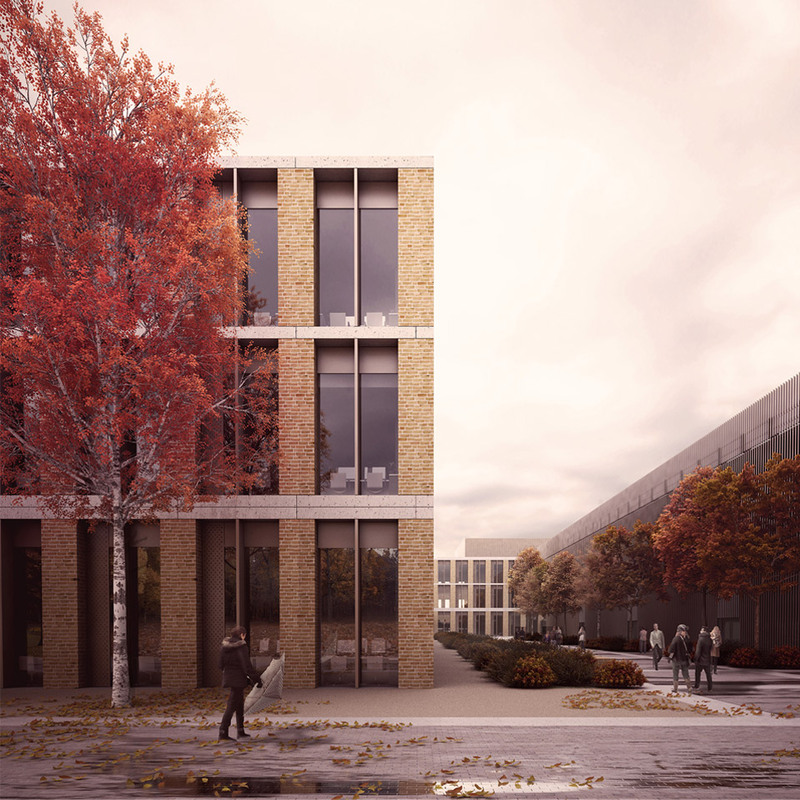 The subtle hierarchy, proportions and tripartite ordering of the red brick and concrete façades draw upon the notable local ‘campus’ precedents of Rugby School and Coombe Abbey, whilst the umber tonality and vertical expression of the energy centre and car park buildings abstract the coppices found in the surrounding rural landscape.